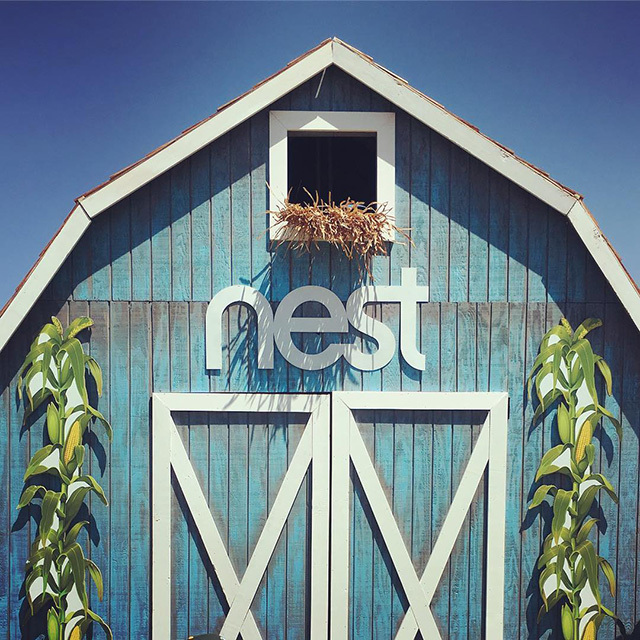 Here is a photo of the Nest barn, in blue, with a nest, near the Google offices. I think it isn't there now but was there for some event. Google owns Nest, the thermostat, smoke detector, etc company. So they did this company thing around it. The photo was posted on Instagram back in 2016.